Besides David Bowie, of course. David Bowie=Magic. Pretty sure. On with the blog. I first saw this movie the summer before 8th grade. That would make me, what? 13? When I first saw it, I had no idea who David Bowie was. (There was a time before I was a DB fan?!?) I was young enough, at the time, to still enjoy it. I have found that people who watch it for the first time as adults tend to like it less. So I saw it, liked it, and forgot about it. Until my other half (one of my best friends since we were very young) started whipping out songs lyrics from the Labyrinth. That's when I remembered and wanted to see it again. I was lucky enough to have parents who owned a copy of the movie. For a couple years after, I watched it almost every day. Then my mom dug out some David Bowie CDs for me and the rest of my obsession is history! 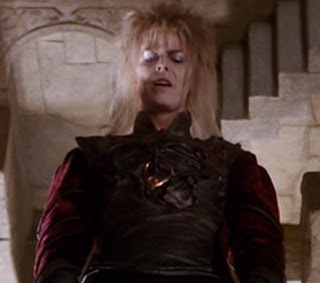 More than 10 years after my first viewing of Labyrinth, it still holds so much magic for me. As soon as those opening credits roll out and "It's only forever, not long at all..." starts, I'm sunk. Believe you me, I do not need to actually watch the movie--I have it committed to memory (which makes me feel like taking a Cats tangent, but I will save that for a different blog post). So what is the draw? What keeps me so engrossed? Why, after all this time and hundreds (at least) of viewings, do I still love it so completely? 1. The music. How beautiful and haunting is it? "It's only forever, not long at all," just thrills me. What an interesting idea, right? 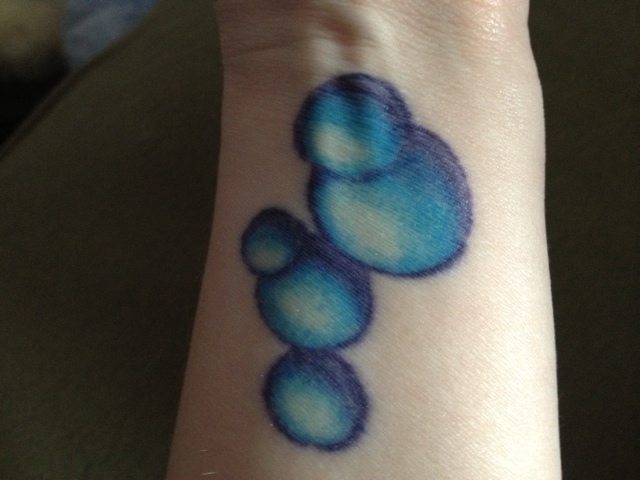 So yeah, bubbles. Love bubbles. And they are pretty. "It's a crystal, nothing more. 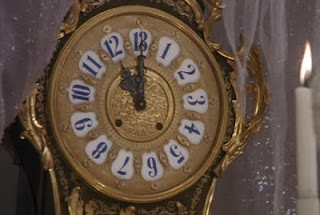 But if you turn it this way, look into it, it will show you your dreams." 4. I love a good coming-of-age story. Plus, as Sarah grows up, she still has her magical friends from the Underground. Growing up doesn't mean all the magic is gone. 5. Interesting concepts and interpretations. Do you know people almost write essays about symbolism and meanings behind this movie? 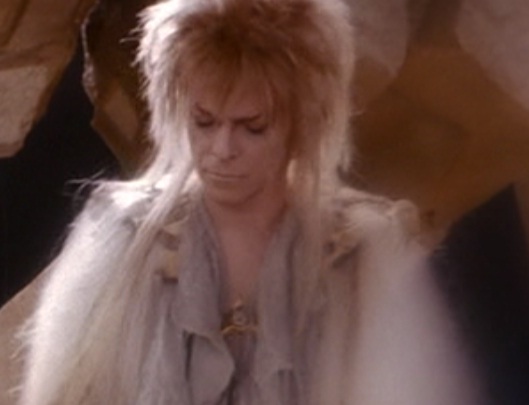 a) For instance: Jareth. He says, "Everything that you wanted, I have done. You asked that the child be taken, I took him. You cowered before me, I was frightening. I have re-ordered time. I have turned the world upside-down and I have done it all for you. I am exhausted from living up to your expectations of me. Isn't that generous?" In addition to the song "Within You." What makes Jareth Jareth? It sounds like Sarah's ideas and fantasies make him who he is. It's up for debate. 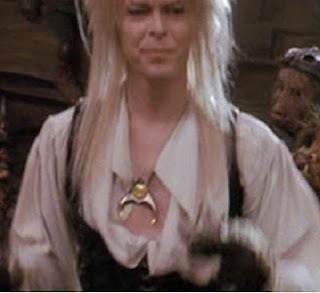 b) Another example: Jareth's pendant. It is a silver, sickle shape with a gold circle in the middle. If you get a good enough look at it, the infinity sign is etched in the circle. The points of the sickle usually point down. He also has them on his belt (which I want!) when he finds Sarah and Hoggle in the tunnel. This is right before he calls the Cleaners. In the ballroom he has no pendant. In the Escher room, it is upside down. In the last scene with him, the colors are inverted. d) And more! Lots to look for and think about. Like the riddle--"One of us always tells the truth and one of us always lies." And the junk lady. Etc, etc. 6. Is there anyone out there who doesn't dream of going on a magical adventure? Especially in the Labyrinth? The challenge of a life-time. "You're no match for me, Sarah." "You have thirteen hours in which to solve the Labyrinth before your baby brother becomes one of us forever. Such a pity." Of course, hearing those lines would only make me more determined. 7. The lines. The script and quotes. And we all know how much I love quotes! "You don't even know what an oubliette is. " "Do you?" "Yes. It's a place you put people to forget about them." And I think I need a doormat that says, "Oh, it's you." 8. Plus life lessons: "You know your problem; you take too many things for granted." "It's not fair!" "You say that so often. I wonder what your basis for comparison is." It's OK to ask for a helping hand. 9. It's Jim (and Brian) Henson. And Brian Froud. And Jennifer Connelly. Which is all pretty great. 10. The ballroom scene. Enough said. 11. You can find Jareth's face in the scenery in seven different places. It's like a look-and-find! Do you know where they all are? 12. Reasons 12-100: David Bowie! There you have it! Several of the reasons why Labyrinth is awesome and one of my favorite movies. That was some real insightful one. The Labyrinth. My magical world, this fantasy would be the only kind forever, not long at all. I love the labyrinth, like anything else. I fell in love with Bowie. This fantasy, teaches us to love those around us, especially children.